Christopher Schardt, a Burning Man staple, has been transforming the Nevada desert since the early 2000s. Christopher burst into the Burning Man scene with unbelievable kinetic fire sculptures which propelled themselves via the thrust of propane burners. Creations like his first work, 4pyre2, and his last piece, Char Wash, amazed crowds with their fiery momentum. Always searching for a challenge, Christopher’s interest in fire sculptures began to wane, and, in his search for a new medium to experiment with, an unexpected project fell into his lap. In 2013, a friend of his was creating an LED controller, while another had devised a clever way of mapping LEDs. 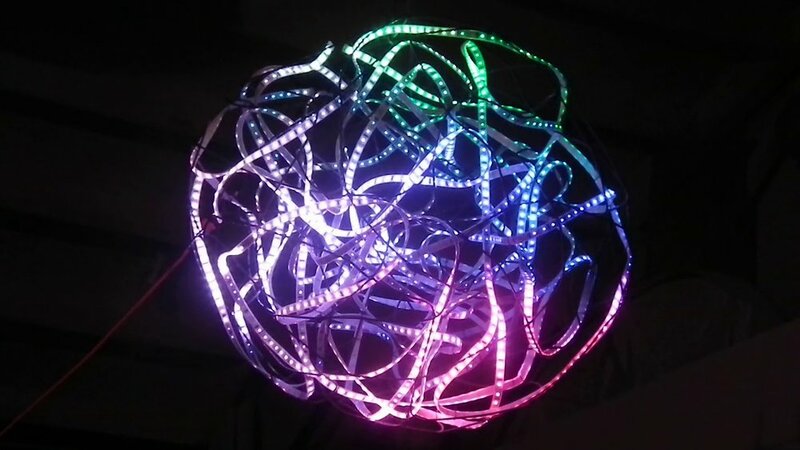 The two projects inspired Christopher to create a piece that would combine elements from both endeavors, the result was Christopher’s first LED sculpture, Tangle. This launched Christopher’s current series of LED sculptures and the invention of his app LEDlab which allows any artist worldwide to drive their LED pieces. 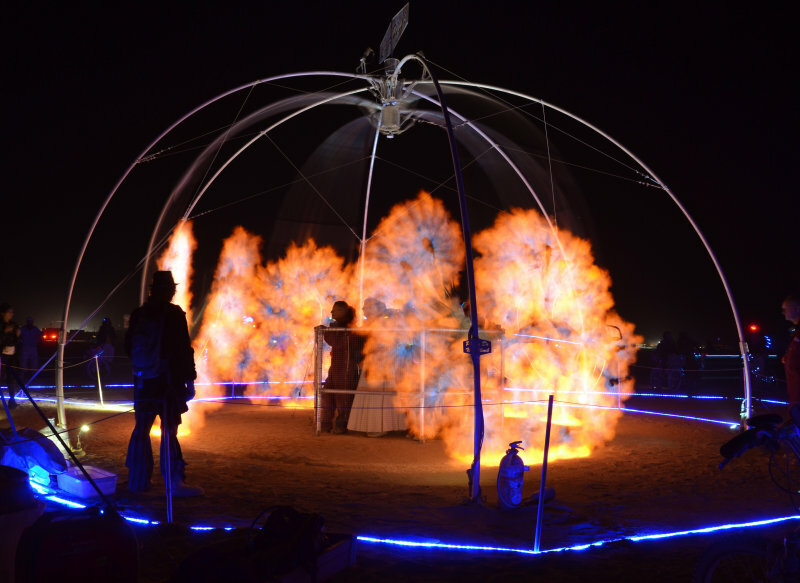 In 2015, Christopher introduced Burners to Firmament, an enormous 52 foot LED canopy paired with classical music. The idea behind Firmament was to create a sanctuary where attendees could relax and recharge from the day’s festivities. Blasting classical music within the canopy blocked out the unrelenting beats of the surrounding dance music. For Christopher, it was a risk to pair the dancing lights of Firmament with the soft, smooth tones of classics by Mozart, Bach, Tchaikovsky Bartok, and Stravinsky. The risk paid off, Firmament was a huge success and introduced the inclusion of peaceful spaces at Burning Man and other festivals. Three years later, Christopher’s work is now widely known and well-regarded both in and out of the Burner community. 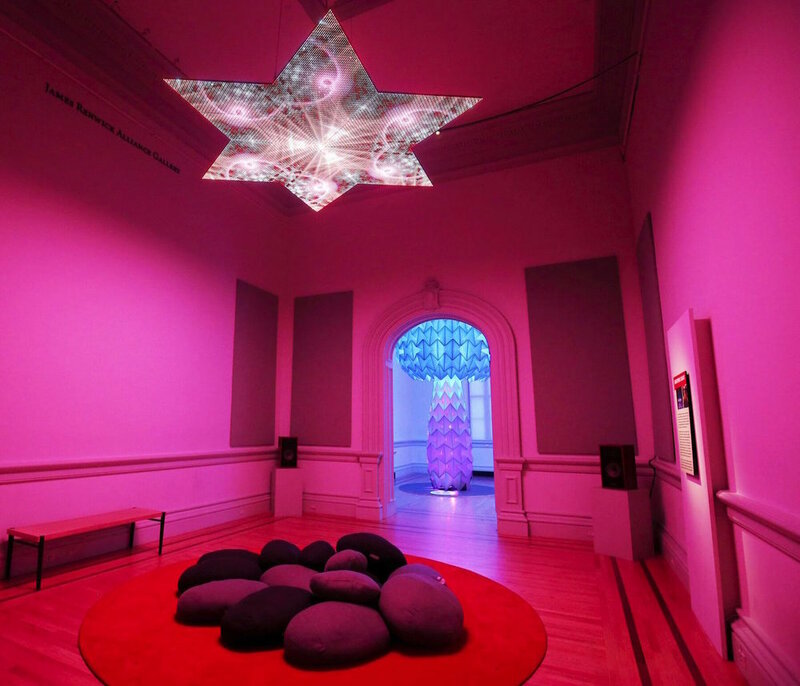 His installation, Nova, is currently on view at The Smithsonian as part of their exhibition “No Spectators, the Art of Burning Man”. Christopher was invited to participate in this year’s TED Conference (Vancouver, B.C.) to display his work, Mesmer. The Midway team could not be more thrilled to now have Mesmer on display as part of our light-art show, Halation, throughout the summer, in addition to several other pieces by Christopher, including Constellation, a custom built iteration of Firmament.